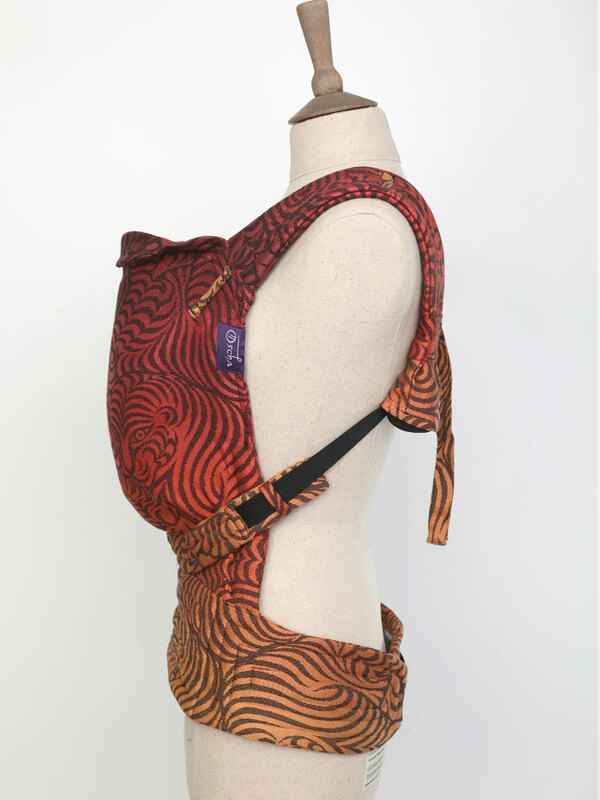 Made with our classic Raja Wilds fabric this stylish baby carrier features Britspun Supima cotton for a shimmery and supportive carrier. 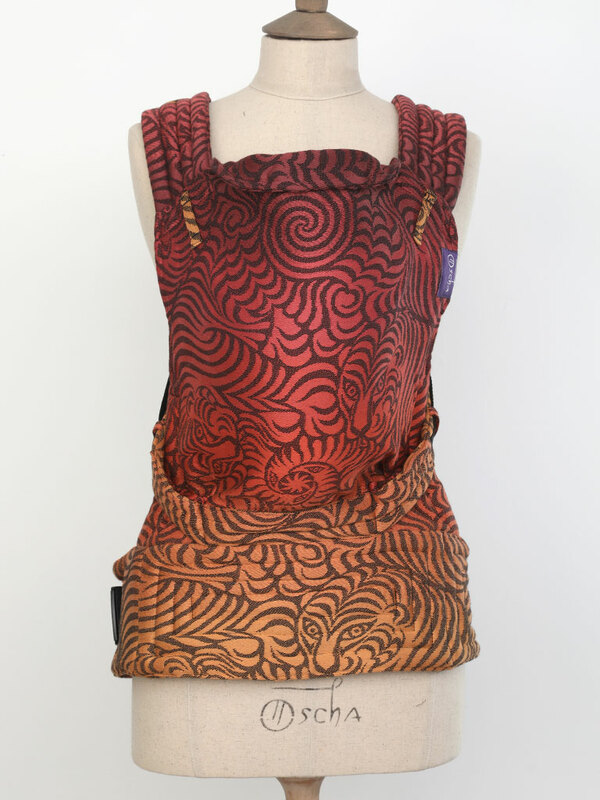 This 100% cotton baby carrier is made using an innovative design which offers you the best of both worlds: ease of use, and the comfort and beauty of a jacquard woven sling. 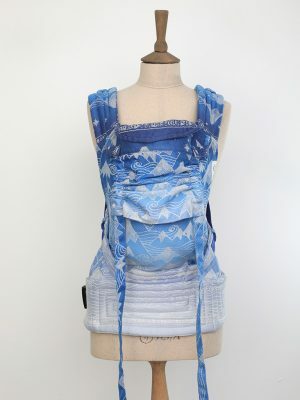 A lightweight and versatile baby carrier perfect for busy parents. To read more about the unique features of the Nook, please open the “About Nook Carriers” tab below. PLEASE NOTE: The Nook is not currently available for customers in America due to US regulations. FABRIC COMPOSITION: 51% Britspun Supima cotton, 29% pure bamboo, 20% cotton. – Suitable from (0-30 months) 7-45lbs. 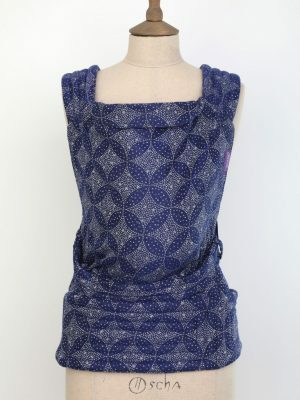 – Waistband: adjustable from 27″/68.5cm to 54″/137cm. 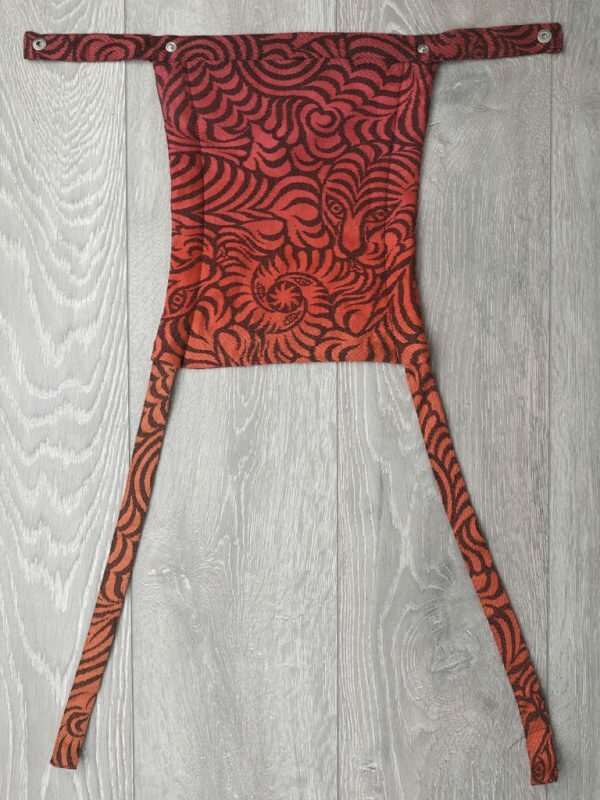 We also sell Waist Extenders if you need a little extra length in the waistband, click here for more information and to order an extender. – Suitable from (approx. 2-6 years) 25-45lbs. 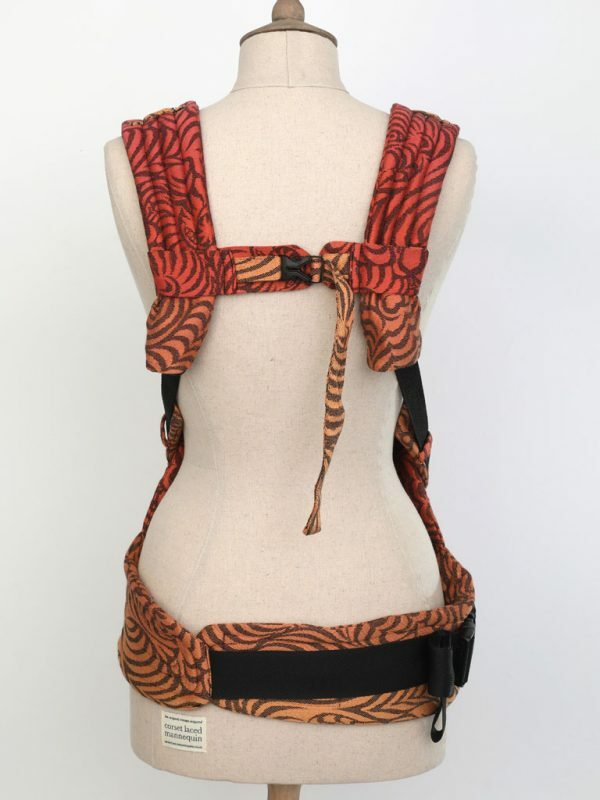 The Nook is an innovative full buckle carrier which is lightweight and versatile, perfect for busy parents. 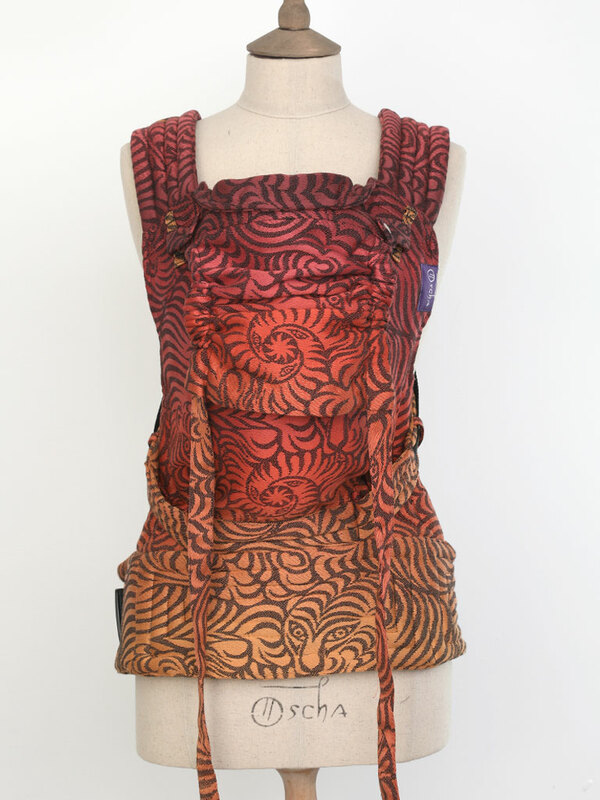 Looking for one baby carrier to last from newborn to toddlerhood? Then the Nook Encompass is the answer. Wanting to carry your child for longer? The Nook Evolve will allow you to carry from toddlerhood to preschooler age. 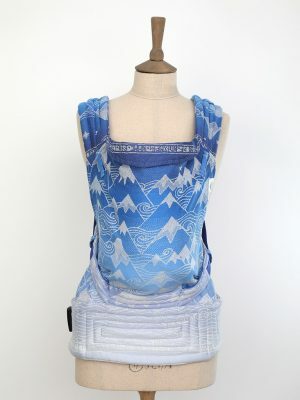 This stylish baby carrier features a number of clever elements – padded & contoured Continuum Straps fit perfectly on the shoulders mimicking the support of a ruck by forming a continuous loop across the shoulders and under your little one’s bum for even and comfortable weight distribution with no digging. The much-loved Strata-linea waistband is included for optimum support & moldability on your hips and waist to reduce digging. 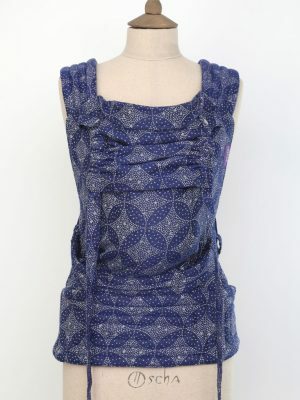 Comfortable baby carrying and elegance are at the forefront in this design. 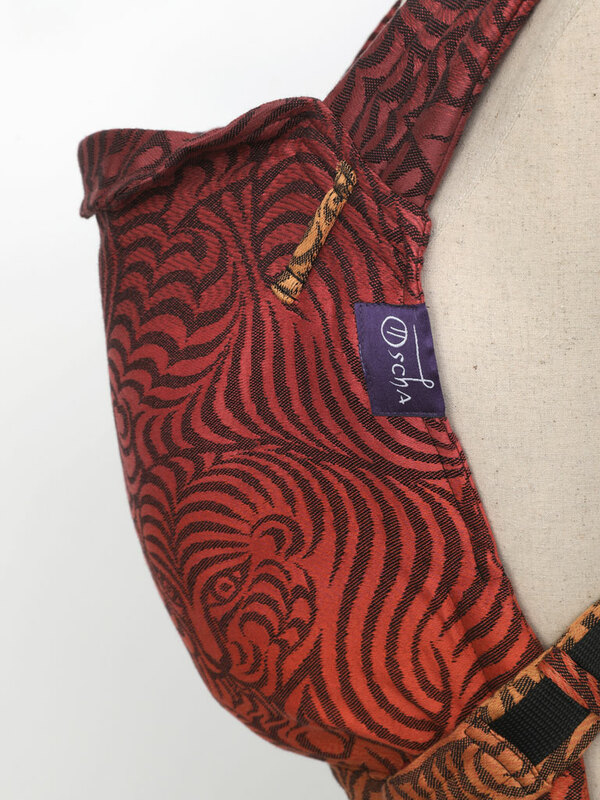 The all-fabric Oscha Chest Strap features a padded tongue to protect your chest from hard buckles & our fabric Buckle Sleeves cover the light, safety-tested buckles for a clean, sophisticated look, while also hiding them from curious little ones. Nook is a Scots word meaning a safe wee place and getting the right fit is important, so all our straps can be adjusted to fit larger and more petite wearers, while specially placed seat darts and legs-out padding mean your little one is always cosy in their Nook.